Gluten free, Low Carb, Diabetic Friendly and so simple to make! A perfect one-dish meal for the entire family! 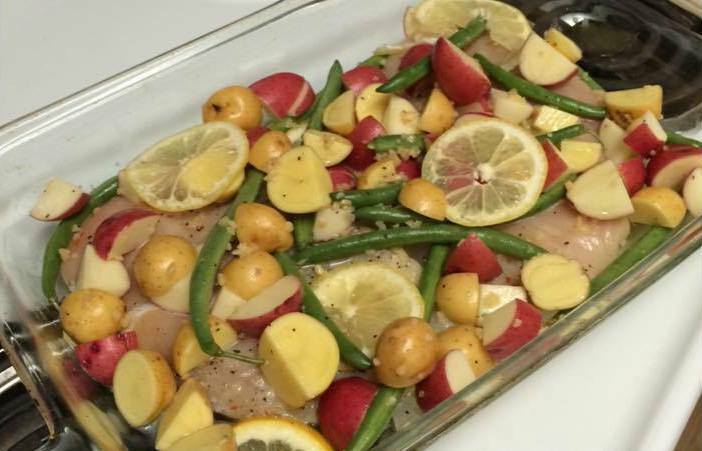 In a large bowl, combine the remaining oil, lemon juice, garlic, salt, and pepper; add the chicken, green beans and potatoes and toss to coat. Pour this mix into the pan and spread around evenly. Roast for 50 minutes or until cooked through. Serve warm.